This is a Howeara Lava Burst. 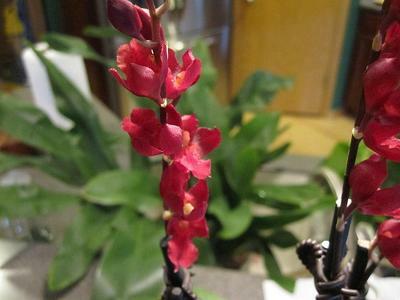 It's an intergeneric hybrid between Leucochilus, Oncidium, and Rodriguezia. 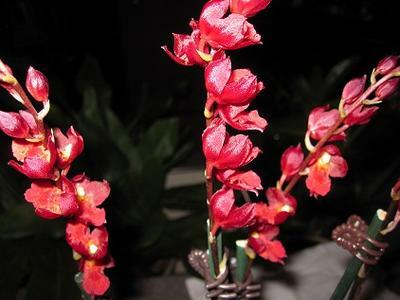 Care is similar to Oncidiums. These are really great-looking plants, aren't they? !